Great theme, "coat of arms", this year in the traditional costume world. This sovereign eagle on the chest proves courage to freedom, not only as a coat of arms bird but also in the world of traditional attire. Glad proud and strong animals are taken as a template in the traditional costume and have a long tradition. 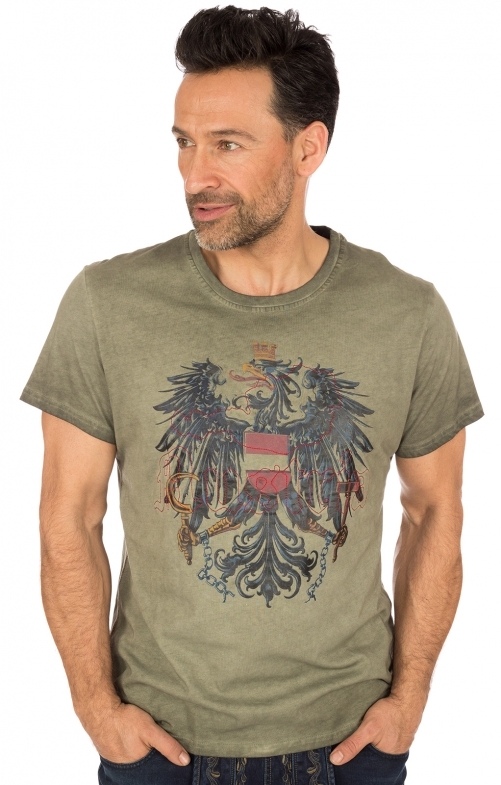 This T-shirt by Kruger made of 100% cotton, can be worn as a basic shirt as well as for traditional jeans or Lederhosen. Schönes Shirt. Schnelle Lieferung. Wie immer alles bestens.